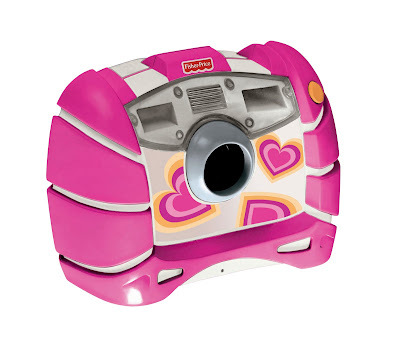 Isabelle’s First Camera – Kid Tough Camera! Just before going on our holiday to the Czech Republic I was contacted to review the new version of the Kid Tough Digital Camera. I was really looking forward to my long holiday, but also I knew, once Isabelle sees the camera, she will be really happy. Let me tell you why. As you know, I take part in Gallery Wednesday and my lovely husband bought me a new SLR camera for my birthday in June. Since then I have been taking hundreds of pictures using all the great features, and have been learning something new all the time. It will take me a while, but I am really enjoying it. As Isabelle loves anything her mummy loves, and wants to be like her mummy, she also wants to be taking pictures with mum’s new camera. I have to admit, that sometimes I let her take pictures with my new camera and sometimes she manages to get some good ones, but most of the time not. Why, because my camera is huge and she really struggles to hold it on her own, and of course she doesn’t let me help her… So that’s why I couldn’t wait to get back and see Isabelle’s face once she sees it.And the result? You should see the look on her face when I gave her the camera! She was soooo happy and grabbed it and couldn’t wait to take pictures with HER OWN digital camera. Of course, she loved the beautiful pink colour and the little flowers on it. We put 4 AAA batteries inside and she started taking pictures. There are a few brilliant features I would like to mention. The first one would be the two- eye viewing, which makes it much easier for her to look through. We also loved the big child-friendly controls, that are very easy to press, and the LCD colour screen that lets her see the pictures she’s taken instantly! You can also download some free photo editing software to your computer. I am sure Isabelle will be taking it everywhere and taking hundreds of pictures as it stores 1000+ digital images. There is also a blue version available. Will see, maybe one day she will become a professional photographer and am sure she will always remember her first digital camera! Fitness Tuesday – Week 9! Sounds great – I was looking in to getting one of these for my little lads third birthday next year. I wondered if you could tell me what kind of quality the images are? Could they be printed onto canvas etc. if he took one I particularly liked or is the mega-pix not that high? So chuffed she loves it; just like Mummy!